Silver Angel Wing Coat Hook - Decorative silver gilt single hanging hook for keys and coats. Pretty vintage, shabby chic style. 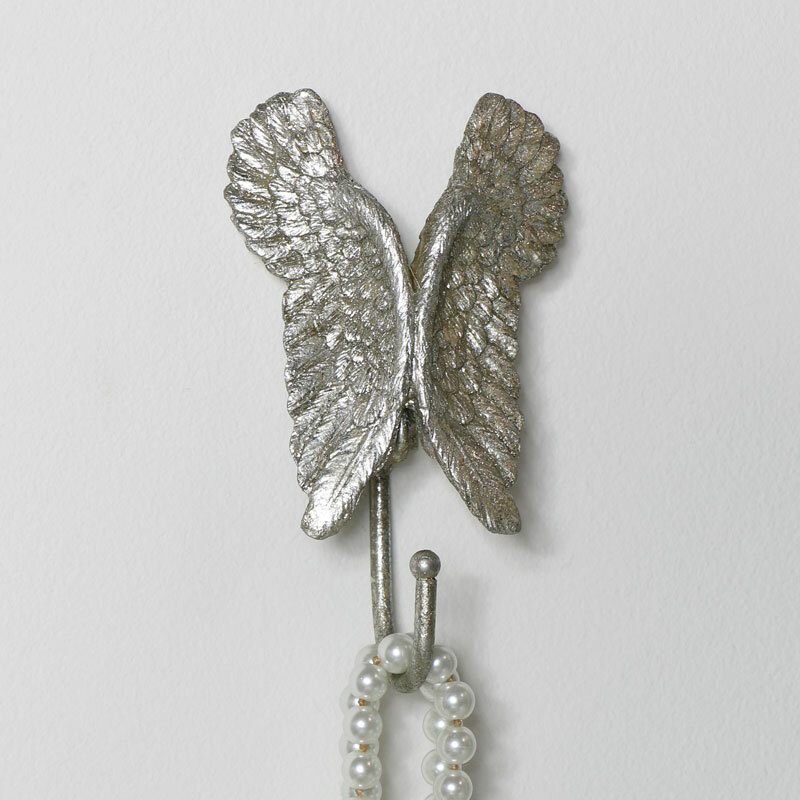 Cherubic silver angel wing coat hook for use in the hallway, kitchen or bathroom. Decorative silver gilt angels wings on a single hook. Decorative design that will appeal to anyone that loves angels and cherubs. 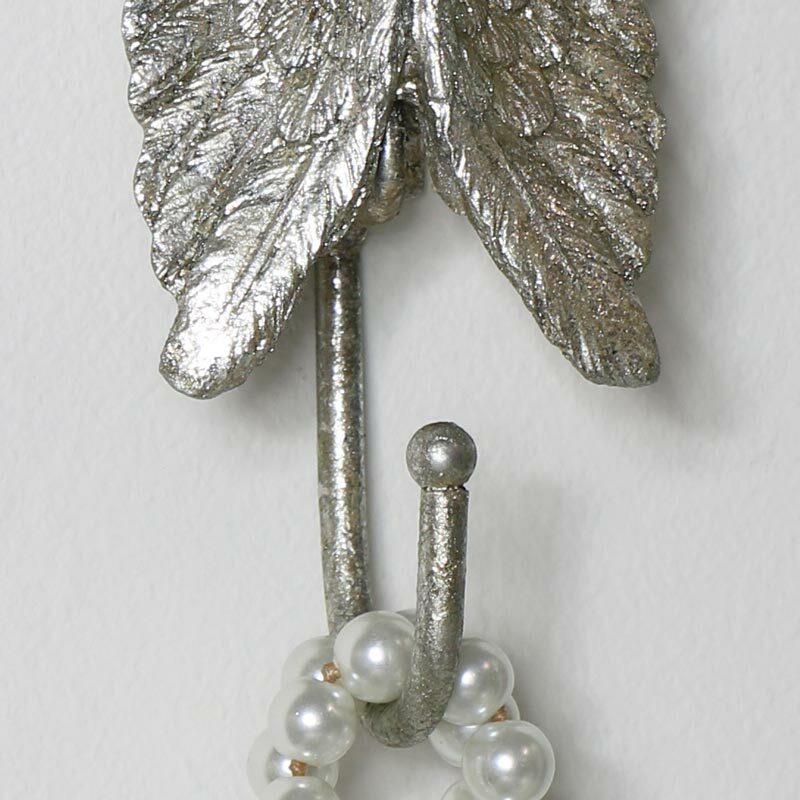 Silver Angel Wing Coat Hook - Decorative silver gilt single hanging hook for keys and coats. Pretty vintage, shabby chic style. 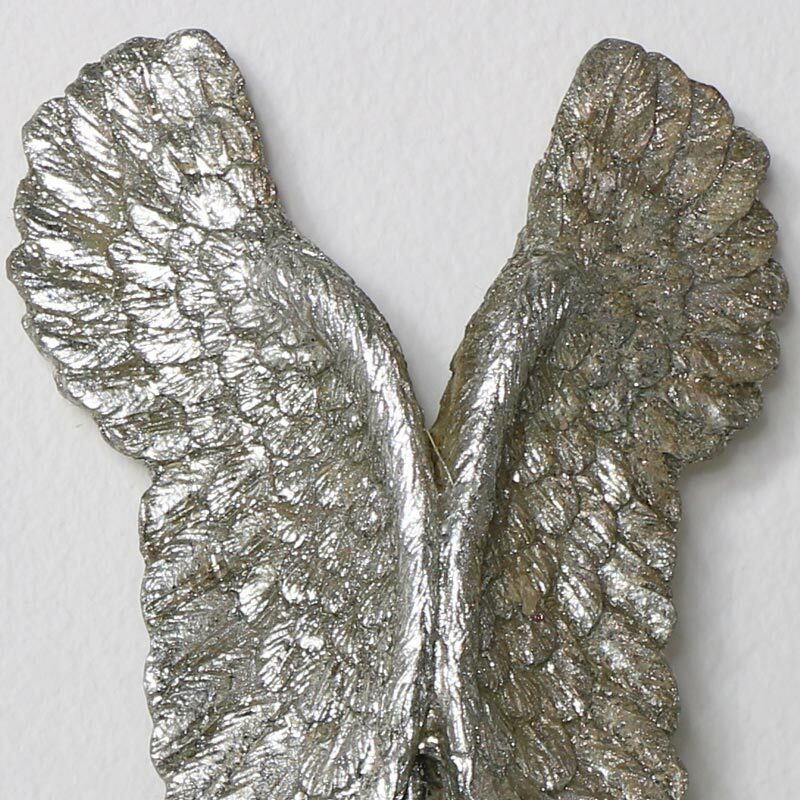 Cherubic silver angel wing coat hook for use in the hallway, kitchen or bathroom. Decorative silver gilt angels wings on a single hook. Decorative design that will appeal to anyone that loves angels and cherubs. Made from metal, painted in a silver gilt effect. Easily wall mounted with eyelet hole on the back. See our selection of coat hooks and key hooks, with single to multi hook hanging in a range of colours, sizes and styles.